Almost everyone knows about Facebook because it is the world’s largest social networking website. Facebook was launched on 4 February 2004, with the aim to socialize the entire world with relationships and the concept was bang on target, since then it is continuously dominating the Social media. According to Wikipedia, Facebook has more than 955 million active users and has Global rank of 2 which proves its potentials. According to the rough estimates 50% of people access it straight from their smart phones, so it is getting extremely crucial to create a mobile friendly blog. Facebook could be your first priority to increase your blog traffic especially when you have just started a site, and it is not getting anything out of search engines.In the recent past, we have seen tons of blogs that are not getting even a single page view from search engines but still they are getting healthy traffic because they are utilizing the chances of promoting their Blog quite handsomely on Facebook. If you are not getting enough traffic from Search engines, then you should consider the following techniques to get healthy traffic from Facebook. After creating your Fan page for your blog, the next step is to add a small like box button widget on your site so that your visitors who arrives either from search engines or any other external source can become your follower through Fan Page. Following are the few more Like boxes with further more perfect designing. Sleek FB Like Box Widget Adopted From WordPress. You can update your fan page by linking the latest post of your blog. If you daily publish tons of post onto your site, then you can utilize your Rss Feeds to automatically publish your website’s new posts directly on your fan page without any hesitation. Moreover, can also purchase Facebook pages having bunks of likes but before purchasing make sure, that the certain page is of your site niche and has organic likes not robotic. In this way you can spread your words with more power. Facebook Group is a place which can be accessed by sending a join request. Your friends can also add you in various Facebook groups that relate your niche and you can spread your word by posting your updates along with your website URLs. Many people suggest to creating your own facebook group but the group is useless until it has more than thousands of members so make sure you add tons of peoples into your groups to utilize this great opportunity.However, sharing your site links on unrelated Facebook Group will not going to help you a lot in increase your traffic so make sure you join those Facebook groups which are related to your niche i.e. blogging, tech and etc. Chat is referred to any kind of online remote communication with a certain user. Facebook also allows its users to have online chat. 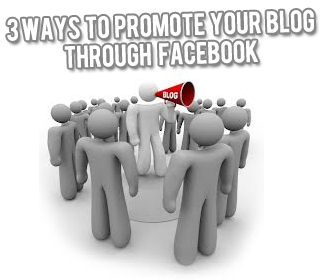 You can tell your friends about your website, ranking and this will increase their interest in blogging. In this way, they will be enthusiastic to know more about blogging and at that stage, you can suggest them about your site. I would suggest you to add more and more friends that are interested in blogging. You can give them crucial advices regarding to blogging along and this will help them as well as your blog to grow quite handsomely. One thing must be kept in mind while adding friends that don’t let the fake ids to be added in your friend list. Check the profile of the user thoroughly and make sure that it’s not a fake id. The reason behind this advice is that in this way you may get hacked. So hope you have enjoyed the roller-coaster ride, all the methods listed above are tested on MBL and Alhamdulillah we have received present response, so we highly recommend you to use these techniques and your website Traffic will fly high in the sky till then peace, blessings and happy promoting. Saqib Ameen is a student of Matriculation and a part time writer living in lovely country Pakistan. He adore writing about Tips & Tricks, Social Media & New Tech. Well Syed Faizan made a good choice by assigning you as a co auther bro.Hope you will give us the same quality as syad has given so far. Saqib , nice post buddy ! Please Make a logo for me! I dont have photoshop and i dont know how to make a good logo! Please make a logo like MBL's previous logo in MBT's template! Create a fb cover also please! Dude! It a Great News that you have created a Blog. But Don't you think, you are copying everything FROM MBL Without even Giving Credits. We Appreciates If you Remove the content or link them to their original Source. Please excuse me i dont want to hurt you! I removed all contents copied from MBL. Please make a logo for me like your previous logo on MBT's template! Ok Bro As u wish! Give Me an other attractive logo! But it must be look professional in MBT's template!